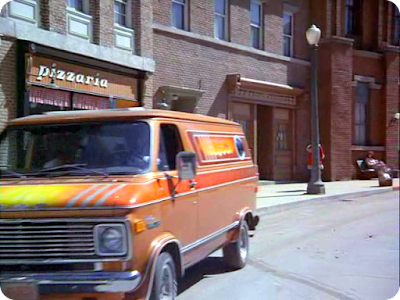 Although such musings might be more appropriate for a "Memory Bank" post than a discussion of objects that repeat frequently in cult-TV history, I have to tell you, I love vans. My family purchased a Ford van in 1978, and it was not retired from service until sometime in the mid-1990s. 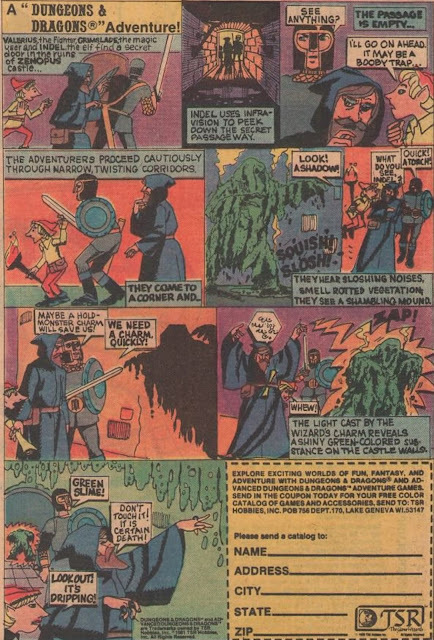 That green van took me to and my friends to see Flash Gordon (1980) for my eleventh birthday, and transported my family on two cross-country trips from New Jersey to California and back again. = In 1979, we took the northern route, visiting the Great Lakes, Mount Rushmore, and Devil's Tower, among other locations. Then, in 1982, we took the southern route. A van might be described as a large, "box-like" automobile featuring a sliding side door and rear back-doors. The van (notice I didn't say "mini-van") was especially popular in the late seventies for not entirely wholesome reasons. Ever heard the term shaggin wagon? 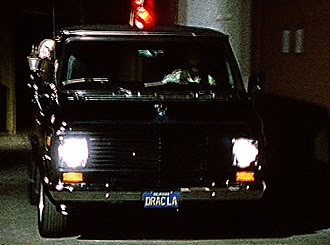 In cult-TV history, vans have appeared so many times, and have become synonymous with specific characters and situations. 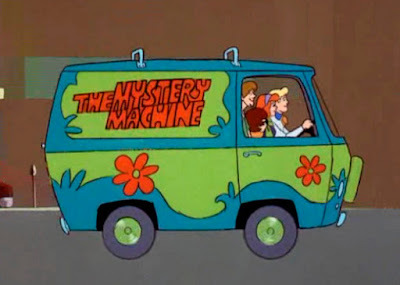 The Mystery Machine, for example, from Scooby Doo, may just be the most well-known van in the pop culture. 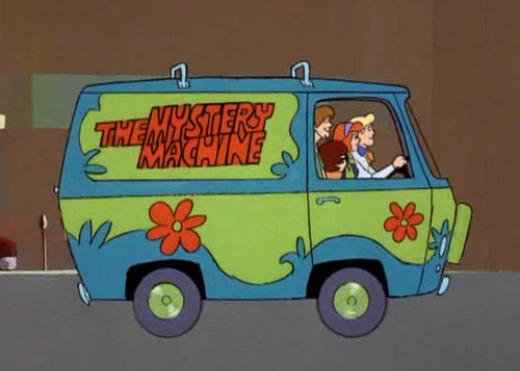 But The Hardy Boys also drove around the country, solving mysteries, in their GMC van, in The Hardy Boys/Nancy Drew Mysteries (1977-1978). 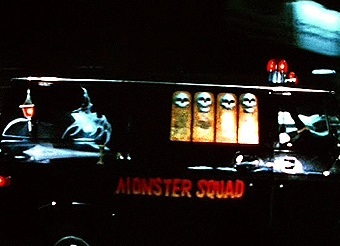 The heroes of the short-lived Saturday morning TV series, The Monster Squad (1976), similarly, had a van which they would use in their investigations of criminals. 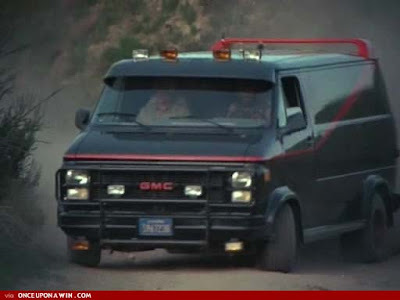 The 1980s brought soldiers of fortune -- The A-Team (1983-1987) who also worked out of a GMC Van. On, V: The Series (1984-1985) at roughly the same time, the alien Visitors were often depicted driving white vans emblazoned with the alien insignia. Even more recent series have featured vans. Early in the run of The Walking Dead (2010) in the first season, Rick Grimes (Andrew Lincoln) and other survivors of the zombie apocalypse drove a church van to escape from Atlanta. On Buffy the Vampire Slayer (1997 - 2003), the Nerds of Doom -- also known as The Trio -- owned a van, and at one point, Andrew (Tom Lenk) painted some Star Wars illustrations on the side, including imagery of the Death Star.